The Information Technology Committee of Orienteering Australia enables sharing of information in the IT area between the states. This page enables sharing of information on SPORTident equipment and associated software. A comprehensive set of guidelines on the use of SPORTident has been prepared by David Rosen (chair of the IOF Rules Commission) and is available here. This version has Clubd IDs the same as in Eventor so entries can be imported without overwriting the clubs if you create your event with these clubs first. The file also contains instructions on how to import to the Archive used with OE2010 and hence use for any event. Using MT for Australian Three Days – some notes on using MT 2003 software for the Australian Three Days (Coping with the Prologue, Start Draw, Importing Data). Note that Blocking described in this document is no longer an OA rule requirement, but this section is still in the document for reference. A conversion program to process ACT results for the OACT web site. At this stage it will convert OE2010 single day results files to OE2003 format. It will do the normal results and splits files. The OE2010 files must be CSV and in the format recommended by the OA results instructions. The file is called “OE Results Format” and is available as a zip file from the url below. If you want to use it unzip it into a folder, there are about 10 files. The exe file is “OE Results format.exe” and it has been found that it works under XP, Vista and Win 7 but, if you have problems there are some other files in the folder that you may need to install. It has a Help file and there is a text file that shows how to get it to run it. N.B. it does not need any installation via Windows. It is easier if you create a shortcut to the exe file. There are some data files that are necessary but related to ACT venues and names, just ignore them. It would be very simple to do the conversion in Excel via a macro except that you come up against the problem of the times getting mucked up when the csv file is saved, a problem that is well known. SportIdent UK also provides event software (Autodownload) which is used by Orienteering Tasmania, and extensively in Britain. A file of official Australian clubs, plus codes for State/Territory teams, Australian and New Zealand National teams, official New Zealand clubs, and nations affiliated with the IOF (including the New Zealand code), is available for download. This file has the approved format for clubs when using OE/MT/OS software – AustralianClubsNames20130601.xls. This version has Clubd IDs the same as in Eventor so entries can be imported without overwriting the clubs if you create your event with these clubs first. 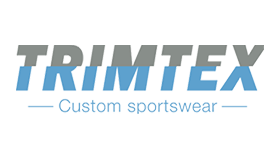 Other distributors of SPORTident equipment such as SPORTident in UK, USA, and Sweden.